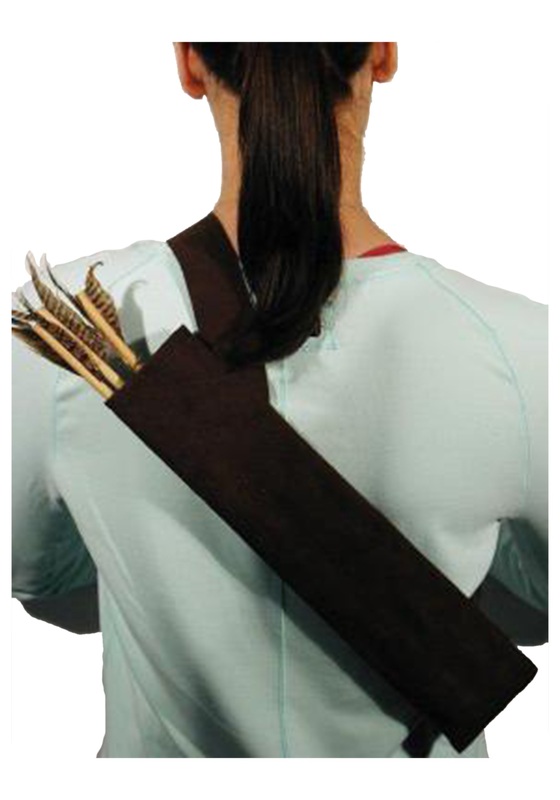 Be a hunter or a huntress with this quiver and arrow set! Your prey won't stand a chance. Just please, please promise us you will use it for hunting small game. We've heard stories about children battling to the death with bows and arrows, and we just can't abide that. But if that's the look you want this set will be the perfect accessory! NOTE: In all seriousness, we couldn't find our bow to find out if these arrows shoot, but we are confident that they are props only and do not shoot. We are 100% sure that these are intended to be used as a costume accessory and not as a toy. And definitely not for hunting. I would like a refund for the bows. The picture was taken right after I took them out of the box. You only get three little arrows with very few feathers and the quiver is pretty small-the circumference is about the size of a coffee mug. At least the plastic belt allows for adjustments so that it will fit me. For the money, it was good. It just didn’t lay across my daughter’s shoulder well and it became a bit of a nuisance. 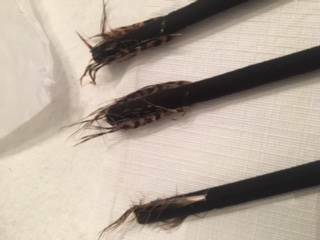 The arrows are black felt and the feathers do not look like I'd hoped based off the picture. But hoping I can make it work. This is a nice accessory to make this costume complete, but wish it came with the bow.